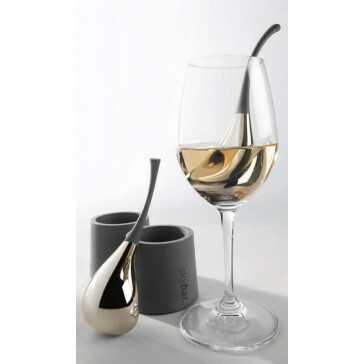 The sleek attractive shape of the skybar chill drops adds a stylish note to your table. 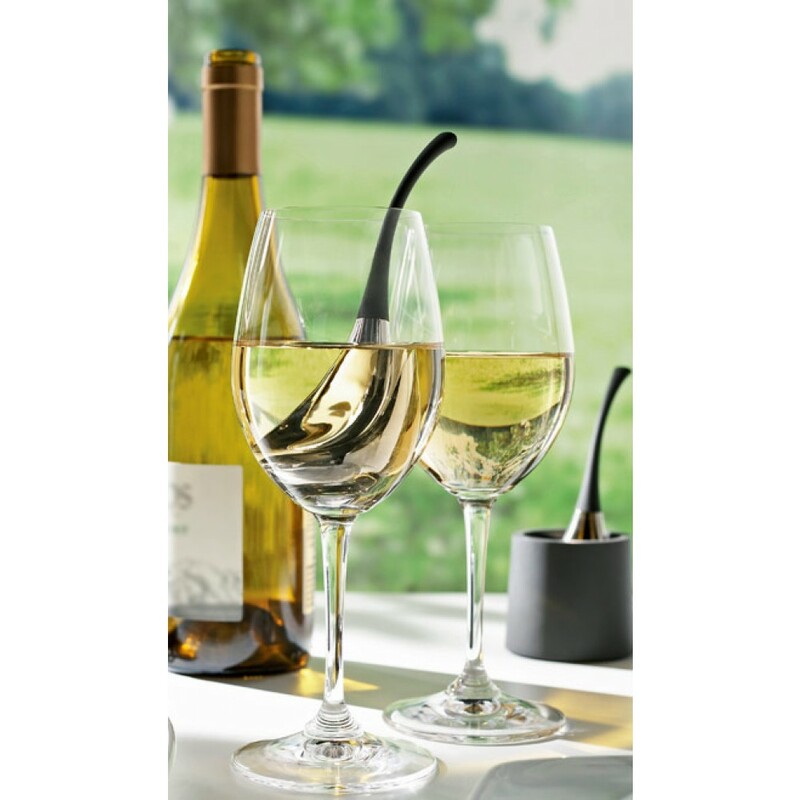 Fits wine glasses and most flutes. 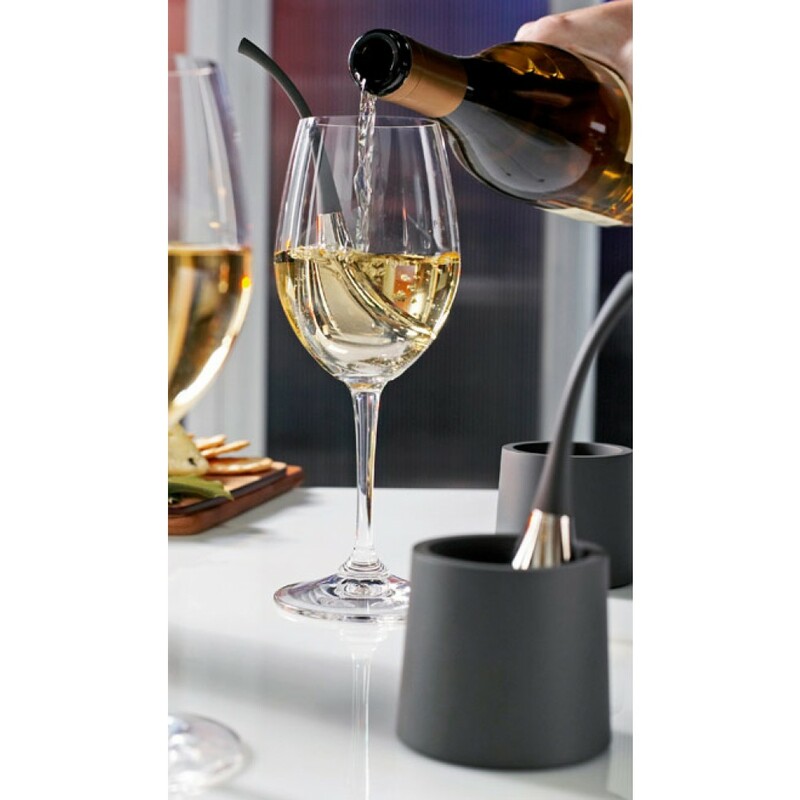 Sleek polished stainless steel finish with convenient holders to protect table surfaces. To use, store your skybar chill drops in the freezer. Remove, insert into your glass and pour your beverage. Let the chill drop chill to the desired temperature. Store on the table in its holder and reuse as desired. Simply rinse and return to the freezer.